We’re pleased to introduce you to our fabulous team. A passion for learning and working with people has steered Margaret through a rich and diverse working life. Her interest in the medical professions has endured throughout this journey and her dedication to the health sector lies at the heart of Synapse Medical Services. Margaret began her career as a registered nurse and spent a decade nursing in hospitals across Australia and on ships, film sets and even at the Sydney Opera House before studying law. After completing her degree at the University of Technology Sydney (UTS), Margaret practiced for more than a decade in general litigation and family law. She volunteered her time at a community legal centre over these years and also continued her involvement in the health sector through a parallel career as account manager for her husband, a specialist in rehabilitation and pain physician. In 2004, Margaret established, in partnership, one of the first dedicated billing services in Australia – Pulse Medical Management Pty Ltd – to manage the billing of over 200 clinicians. Her vision for a diversified service provider that would free doctors from medical administration was realised with the foundation of Synapse in 2009. 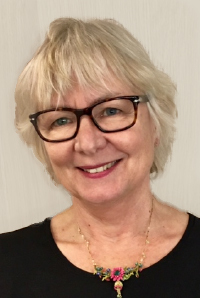 In walking the path from batched payments, vouchers and reams of paper to a streamlined electronic payment system, Margaret has developed a formidable knowledge of the Australian Medicare-based claims system and a passion for delivering quality support services. 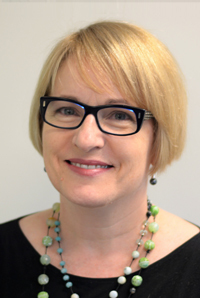 Margaret is regularly asked to present on the legal and administrative aspects of health systems both nationally and internationally and is currently completing a PhD at UTS on Medicare claiming and compliance. She is a regular contributor to Australia’s health reform debate both on radio and in print media and is a frequent contributor to the Croakey Health Blog at www.croakey.org as a member of the Croakey Health and Medical Panel. Lisa joined Synapse as Director, Health Insurance in May 2017. She has worked in various roles in Health Insurance in Australia, from a product specialist to General Management and has developed several new health insurance products and services. She has recently returned to Australia after working in Dubai for 2 years as the General Manager of Emirates Airlines’ global self-insured and managed employee health insurance scheme. Lisa’s role is to help Synapse grow in assisting healthcare organisations deal with payers in a more efficient manner and she is particularly excited by the opportunity to help capitalise on the many opportunities for growth through innovation in health services. Martha joined Synapse as Financial Controller in November 2015. She is an accomplished professional services manager who previously worked with Minter Ellison Lawyers for 14 years, most recently as Finance Director. Martha’s role is to steer the financial management of Synapse and assist Principal Margaret Faux in maximising the profitability of the company. She has known Margaret for many years and is excited by the opportunity to help capitalise on the many opportunities for growth through innovation in health services. Guruprasad Krishnamurthy, Global Operations Manager at Synapse Medical Services is responsible for the company’s international strategy, direction and planning the operational activities across all locations around the globe. 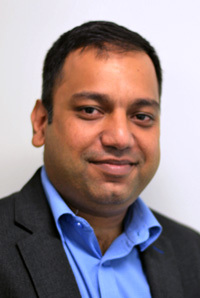 Previously, Guru served as a Deputy General Manager – Operations for Synapse Medical in India for over 4 years, he managed the deliverables and oversaw medical billing processes for inpatients, outpatients and specialty clinics in both the public and private sectors of all states of Australia. He also conducted training and assessment in Australian privacy regulations and protocols. Prior to Synapse, Guru served as a Sr. Manager – Operations for Technosoft Corporation, an IT and BPM service provider in the healthcare sector managing a revenue cycle portfolio for multiple clients. Before that, Guru served as an Account Manager for Anaesthesia Resources Pty Ltd, a group of anaesthetists and pain management specialists in Atlanta, Georgia, USA. Over this 2-year period, he became familiar with American medical billing, coding and financial management, as well as gaining valuable experience in office management, quality assurance and operational processes. Anna joined Synapse as the Clinical Coding Manager in 2017. Her role in Synapse is managing the Clinical Coding staff, and providing education services. 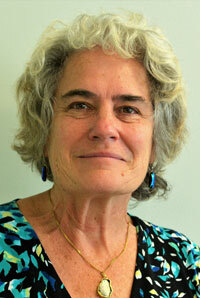 Anna started her career as a Health Information Manager in 1981. Her career has included working in hospitals, teaching and consulting. Anna has over 20 years’ experience managing Clinical Coders and the business of Clinical Coding – having established the first Clinical Coding company in Australasia. Hospitals at which Anna has worked as a Clinical Coder over the last 10 years include St Vincent’s Public Hospital (Darlinghurst NSW); Mt Isa Base Hospital; Orange District Hospital (NSW), Sydney Day Surgery; Double Bay Day Hospital (Sydney); St Luke’s Private Hospital (Sydney); Princess Alexandra Hospital (Brisbane) and Mater Hospital (Brisbane). 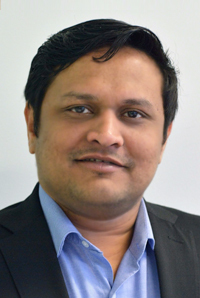 Hridesh joined Synapse in May 2016. Since joining Synapse Hridesh has served as the Chennai office Manager and is responsible for streamlining the Operations, HR & Admin functions along with the overall development of the Chennai site. With 15+ years’ experience Hridesh brings his expertise in managing large teams across contact centre operations (tech support / retail customer service), complaints remediation and payments processing to the management team. His career experiences include Service Delivery, managing Client Relationships, Quality Assurance & Process Migration to name a few. Hridesh firmly believes in collaboration across functions to optimise the operational performance. Karen O’Mullane had a significant background in general, psychiatric and midwifery nursing before being admitted as a solicitor in 1998. Karen then commenced work as a medico-legal advisor and claims manager with the Medical Defence Union. 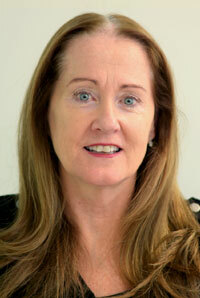 In 2000, Karen moved across to United Medical Protection as a solicitor. Her practice was broad and covered a variety of jurisdictions including civil, professional conduct, coronial inquests, Medicare and medico-legal advice. Karen remained with United Medical Protection through provisional liquidation and later Avant until July 2018. In 2015, Karen became the Head of Practice, Claims, NSW. She led a team of 23 staff members comprising claims managers, medical advisors and support staff with four direct reports. Karen was responsible for ensuring the State based Claims team maintained a high standard of customer service in the provision of claims, medico-legal and support services to Avant and its members. Karen also contributed to strategic planning for the Medical Defence Service division, monitored State based operations and actively pursued opportunities for improvement in claims processes, procedures and member outcomes. Karen is one of the most experienced medico-legal advisors in Australia, having represented Doctors including those under investigation for incorrect Medicare billing. Karen is the perfect professional to Chair this important committee because she brings a deep understanding of the legal and regulatory framework that underpins every single Medicare claim and the complexities surrounding the process. Thom joined Synapse in October 2016 with responsibility for continuing our organic international growth, namely into the UAE and UK markets. Thom will act as our Global Business Development Consultant with focus on new routes to market to increase the visibility of Synapse. Thom has a wealth of knowledge within Business Development, having recently built a corporate proposition in the UK from scratch for a leading Medico-Legal agency. Thom will be based in Dubai but move within the group as required. 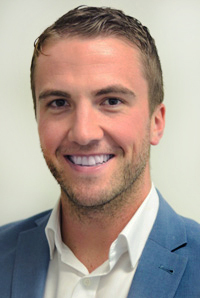 Having worked in the legal sector for the best part of a decade, been client relationship manager at a leading UK law firm at the age of just 25 and, most recently, having spent two years working for an internationally recognised law firm in Dubai, Thom brings with him a variety of experience from both a sales and operational standpoint. Ambitious and approachable, Thom is great at fostering long standing relationships and is driven by the desire to provide exceptional customer service. His appointment signals a new exciting stage in the growth of Synapse Medical Services. 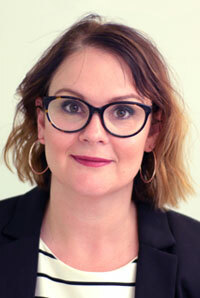 Amanda joined Synapse in May 2018. 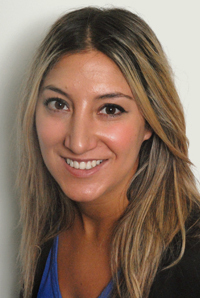 Amanda’s role is new and marks a significant growth phase for Synapse. Having advocated and led change through technology in Australia’s Digital Health community for the last 7 years, she brings significant industry and strategic business development experience to the team. Amanda’s arrival represents a major coup for Synapse and is part of the planned new service launches to market in 2018 and beyond, so that we can maintain our service to our key existing and new clients. Enjoying all aspects of client engagement and full cycle relationship management, Amanda has a BSc in Consumer Science and passion for the digital health movement.